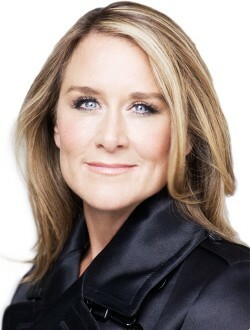 Apple in early February announced that Ahrendts’ role as Apple’s head of retail would be ending, with Deirdre O’Brien taking over. Deirdre O’Brien was formerly Apple’s vice president of people, but her title is now Senior Vice President of Retail and People as she is maintaining her current responsibilities while also overseeing Apple’s retail initiatives. According to Apple, Ahrendts is leaving the company for “new personal and professional pursuits,” though it is not clear where she plans to go after leaving Apple. Apple did not give deeper detail on the reason for her departure, but she is departing amid a significant drop in iPhone sales in China and some other emerging markets. Under Ahrendts’ leadership, Apple ditched the Genius Bar and instead adopted the more casual Genius Grove, cut down on third-party accessory sales, and turned its retail stores into gathering hubs with Today at Apple classes, artist performances, and more. In a farewell note announcing Ahrendts departure to employees, Apple CEO Tim Cook called her “a much-loved and accomplished leader” who had played “a transformative role” shaping the Apple retail experience. Deirdre O’Brien will be reporting directly to Tim Cook going forward. She will continue to oversee talent development and Apple university, recruiting, employee relations and experience, business partnerships, inclusion and diversity, and more, along with retail experiences.